Each UFO pod can hold up to two milliliters of e-liquid. They are 1.5 ohm Nichrome coils wicked with organic cotton. The pods come empty so that you can add your favorite e-liquid. To fill the pods, pull them out of the UFO device. * Two pods at once in same device. * Easy to use/automatic draw. * Four vibrant customizable colors. 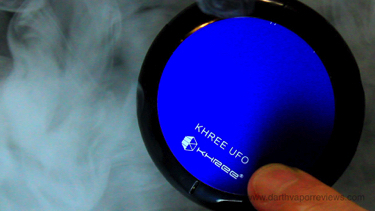 The UFO by Khree is the world's first e-cig with two pod atomizers. The two cartridges allow more than one flavor in the same device. The starter kit comes in a slide out cardboard box. 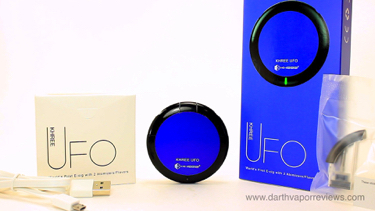 Inside the box is the UFO pod device and an accessories box. The box contains: an instruction manual, cartridge flavor stickers, a USB charging cable and a spare 2 milliliter pod. 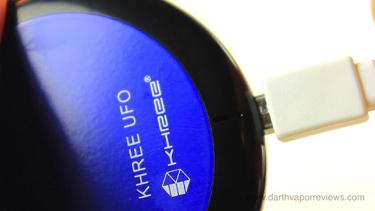 The UFO can be charged via the micro USB port located on the bottom of the device. It is roughly 2-1/2" in length by 3/8" in width. 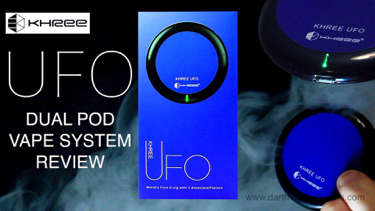 To use the UFO, remove the pods from the top by gripping the mouthpiece and pulling upwards. 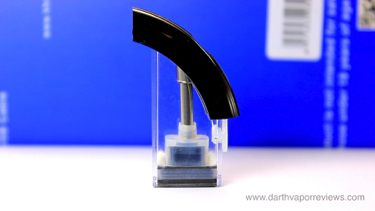 Pull the silicone plug out of the hole and to the side revealing the fill port. Fill with e-liquid up to the top. Once full, securely push the plug back into the hole. Let the pod sit for five minutes to let the e-liquid completely soak in to the organic cotton. Re-insert the pods into the UFO and you're ready to vape. 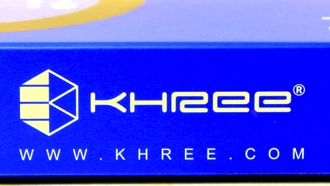 If you would like to pick up the Khree UFO dual pod starter kit for yourself, just click on the links or the logo below. Have an excellent day and may the Vape be with you. My only cons are the pods can be a little tricky to pop out at first and it would be nice if they include two extra pods. I also find it a little tricky to find the air holes/mouthpieces without looking because the device is so smooth. Other than that, it's an automatic draw, compact device with an innovative concept that I would like to see more of. 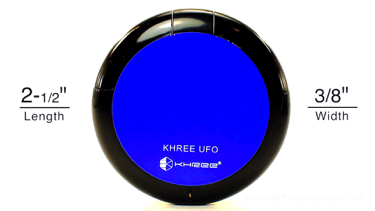 The Khree UFO starter kit currently cost $39.99 and additional pods are $2.99 each. 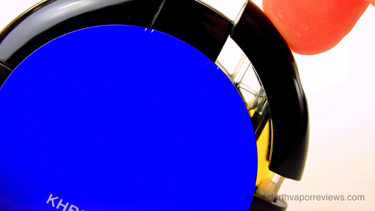 It also comes in the colors of Black, White, Red and Blue. The UFO is a unique device. I love the idea of multiple flavors in one device and I hope to see future designs on this concept. It would be cool if you could vape while mixing and matching flavors at the same time creating new flavors. 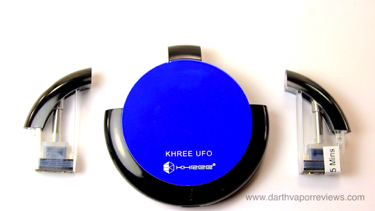 The UFO is lightweight and definitely stealth and pocket friendly. The draw is comparable to other pod systems and the coils provided excellent vapor. The 600mah battery allowed me to vape for several hours on one charge. * Pods are little tricky to pop out at first. * Only one extra pod. * Have to look to find mouthpiece.